Besieged is a Christian metalcore/melo-death band and on their debut full-length Atlantis they go in the direction of As I Lay Dying’s Shadows Are Security. Many similarities from the start are present first off Atlantis has the same crunchy semi-distorted bass lines and vocal approach of As I Lay Dying. The lyrical approach is also similar using metaphors for Christian philosophies and beliefs. Unfortunately as I will later explain the quality and entertainment value is much lower than on the typical As I Lay Dying album. The songs themselves are all mid-tempo numbers with a much more breakdown and melodic oriented sound than As I Lay Dying employs in their albums. The average song length is about the same As I Lay Dying but has fewer riffs and weaker choruses. Lead guitar work is not used much and most of the songs are focused around a few riffs. Solos are only represented on a couple of songs and don’t go anywhere. The production is somewhat quiet considering this album is only two years old but is certainly modern and clearly places each instrument well in the mix. All the band member’s contributions are solid but certainly nothing special. Vocals are mainly the typical metalcore scream and low growl vocals albeit clean vocals are only used on Moustache Pete. The two guitarists pull off some interesting riffs but mainly fill Atlantis with both solid or filler quality riffs, and leads. The bass guitar as said above is very similar to As I Lay Dying’s bass guitar style but doesn’t give Atlantis as heavy of a feel. The drumming is solid and nothing special it really doesn’t catch your notice unless you listen to metal albums for the drumming. Atlantis has a fair amount of problems that bring the score down quite a bit. First off too many songs are present; Atlantis could have been shortened to ten songs for a stronger effect. The album length is way too long clocking in at just under an hour mainly due to the entirely too long title track. Atlantis the title track would have easily been the album standout if Besieged decided to not fill the song with over ten minutes of pointless recording with nothing playing. Finally about half the album is filler and greatly reduces the albums replay ability. 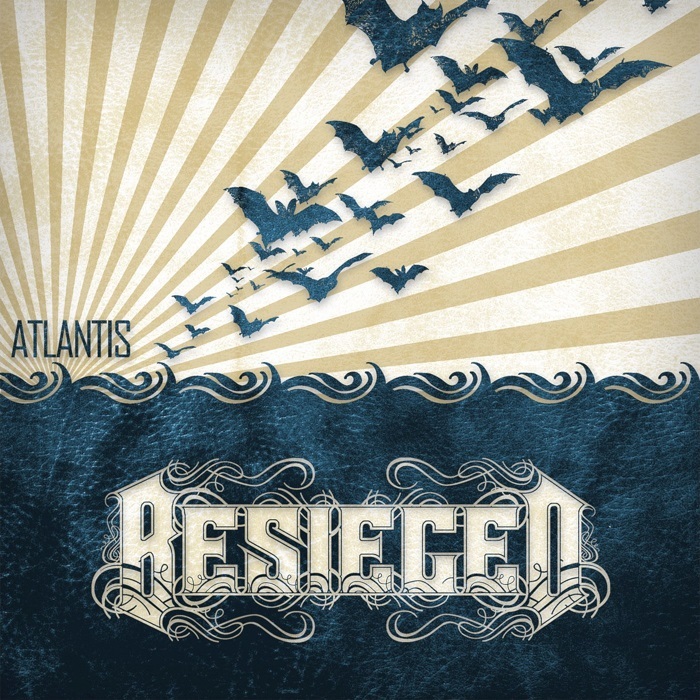 Besieged debute Atlantis is overall an average album that unfortunately could have been much better. Best songs Balkanization, A Cold Winter Kiss, Moustache Pete, They Shake The Earth, and the first five minutes of Atlantis. I recommend this debut album only to die-hard fans of metalcore and As I Lay Dying everyone else stay away.